Today, the FMF released the national selection caretaker manager Ricardo ‘Tuca’ Ferretti called into friendly matches against Uruguay and the United States. 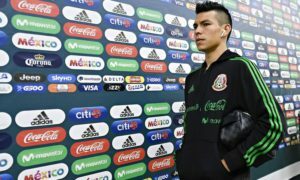 The selection is a youth heavy one, with twelve of the side’s 25 players, including World Cup role players Hirving Lozano and Edson Alvarez as well as debutantes Roberto Alvarado and Jesus Angulo, under the age of 23. 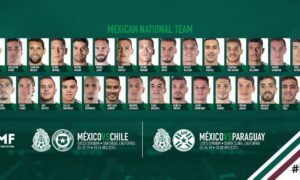 It is a stark contrast from the side El Tri took to the 2018 FIFA World Cup less than two months ago, when El Tri fielded one of the oldest and most experienced (internationally) sides at the 2018 tournament. With no more qualifying or major tournament matches for El Tri in 2018, the selection called in by the current Tigres UANL and El Tri manager would likely be around which players from the pool of mostly North America based players in the side could be in the pool ahead of El Tri‘s Copa Oro activity in 2019 followed by the kickoff of the inaugural CONCACAF Nations League (A League). 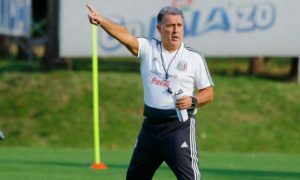 The selection could also give a future El Tri permanent tecnico an idea as to what kinds of approaches he could take with the players that are there to achieve the selection’s obligations and what his decision strategies might be with selecting players and why and how they might work. 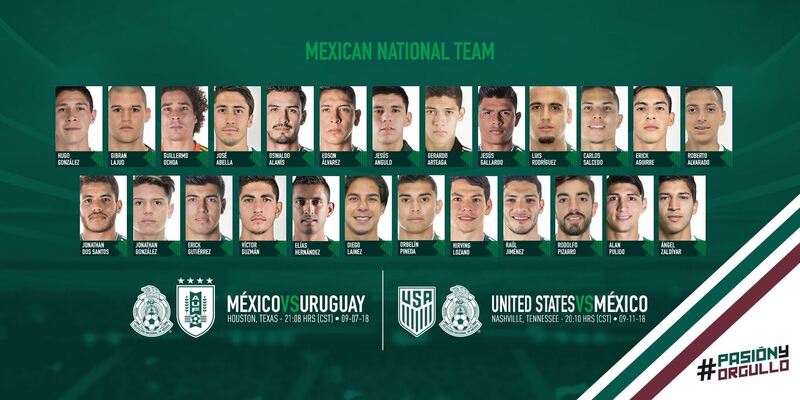 Nine players, Hugo Gonzalez, Gibran Lajud, Gerardo Arteaga, Jose Abella, Victor Guzman, Jesus Angulo, Roberto Alvarado, Erick Aguirre, and Diego Lainez, could all make their full international debut against Uruguay and the United States. And there is one other significant reunion–that of Mexico’s now Brazilian manager and one time Tigres striker Alan Pulido. The inclusion of Chivas’ and the one-time Liga MX record signing (if Monterrey fail to come to an agreement with Corinthians for forward Brazilian striker Pedrinho before Friday) might seem like the days of Pulido fighting the reserve clause in his U-20 contract to leave to play his football in Greece with Levadiakos and Olympiakos (and avoiding playing for Tigres) were either long behind the striker or more about Tigres business dealings, rather than any matter over which Ferretti had any control. Below is the full list of players El Tuca has called in for September’s friendlies.